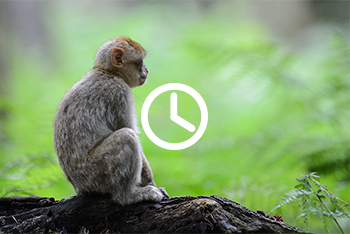 than 200 Barbary macaques roaming freely in 60 acres of forest. Enjoy the opportunity to observe the monkeys and the incredible close-up contact with them as they take the popcorn provided at the entrance right out of your hand! 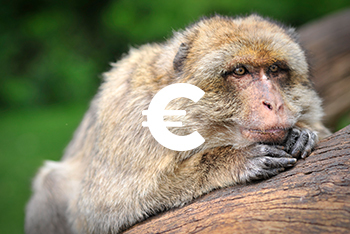 Grab your camera and step inside the fascinating world of more than 200 Barbary macaques roaming freely in 60 acres of forest. Our monkeys live outdoor throughout the year! Most primates live in tropical climates. In zoos and other parks in Europe they need heated shelters in the winter. Barbary macaques come from the mountains of North Africa, where summers are hot and dry and winters are harsh and often snowy, therefore, our monkeys live outside throughout the year. The guides along the path are not only there to keep a watchful eye, they will also answer any questions you may have and explain the behaviour of the monkeys. Feeding sessions are held by our guides at regular intervals (every 45’). 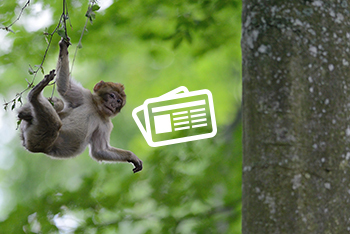 Besides seeing the monkeys being fed, you will also be given interesting information about this endangered species.